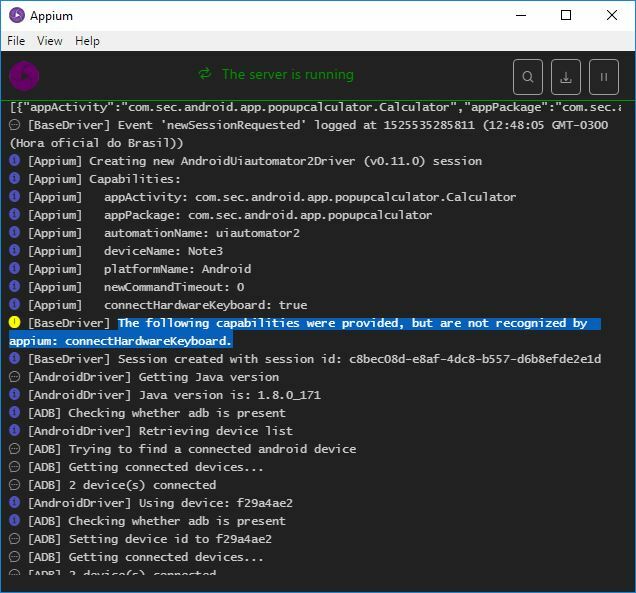 I am trying to automate Android from my cell phone (Samsung Galaxy Note 3), but Appium displays the following error message: The following capabilities were provided, but are not recognized by appium: connectHardwareKeyboard. I checked my code several times and could not find the source of the error. 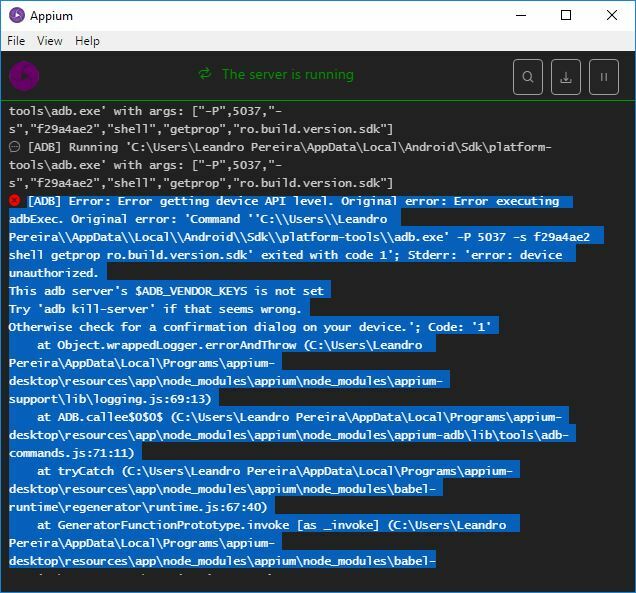 The following is the Java code, the APPIUM SERVER log, and the error images. Browse other questions tagged android adb appium or ask your own question. Appium: Why am I seeing a desiredcapabilties error in the log even after I have provided all the relevant values?